When the cards are opened, the designs pop out! They also fold flat for mailing, so I added designs to the outside as well. I love the little hot air balloon! 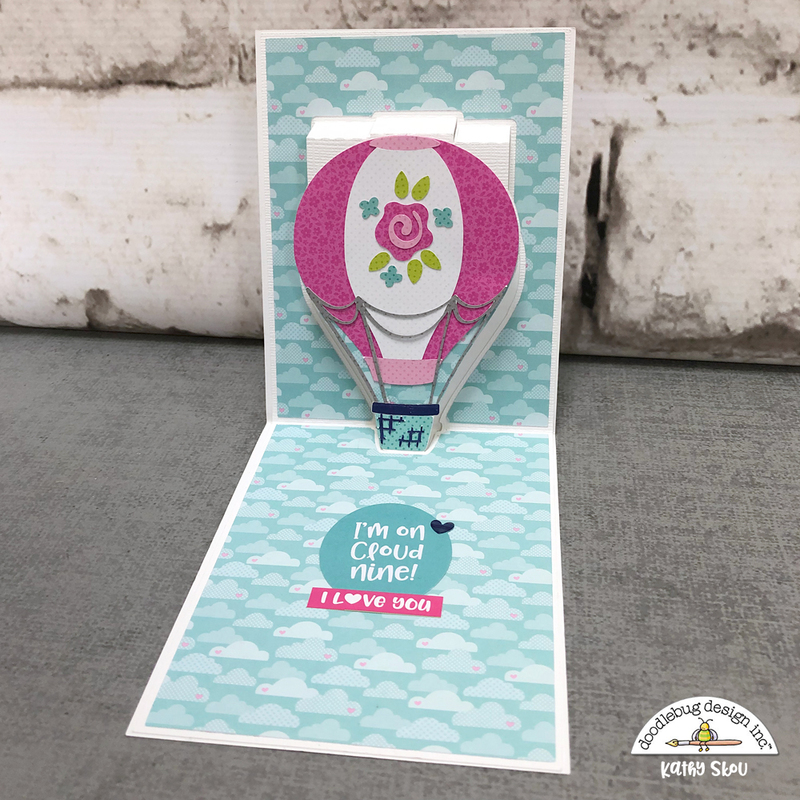 I thought it went perfectly with the cloud paper from the 6x6 pad! 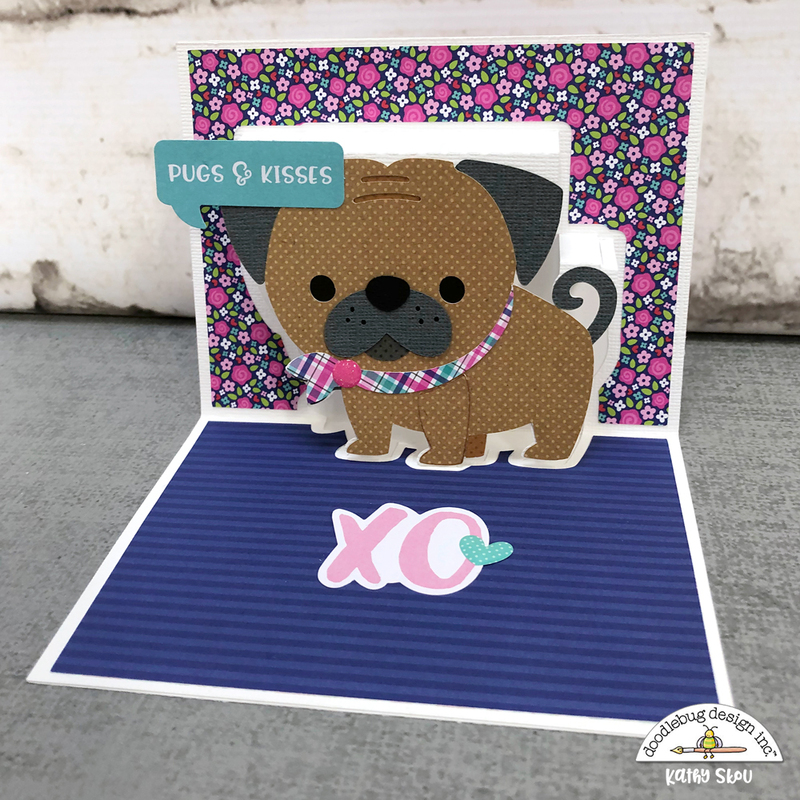 How cute is that little pug??? And the punny sentiment from the chit chat pieces... they combine to make the most adorable valentine! I love the little girl with the balloon, she reminds me of my daughter. In front of the Eiffel tower, she looks so sweet! 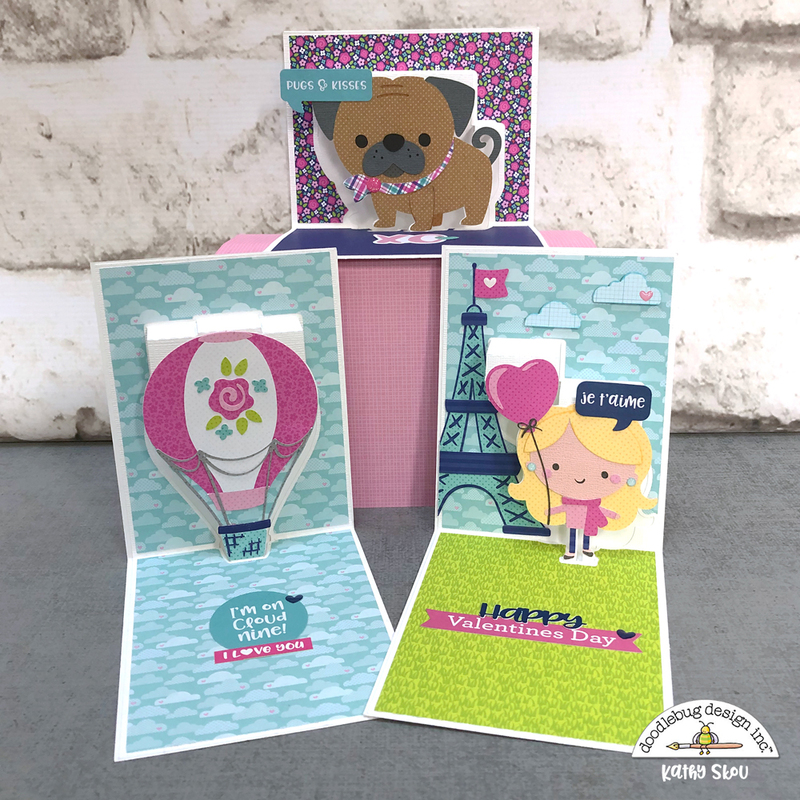 I will have a tutorial Thursday this week on my blog here showing how to create these cards in Silhouette. 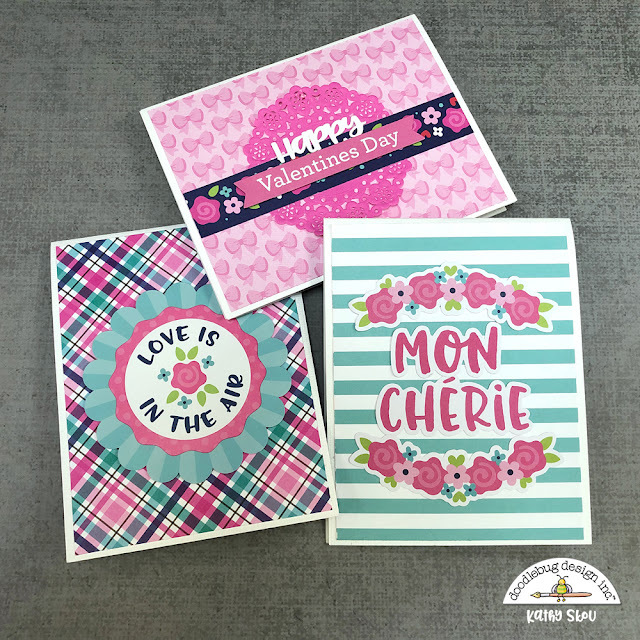 Have you made any cards or projects using the French Kiss Collection or cut files? Be sure to tag Doodlebug Design on Social media! We would love to see your creations! That's it for me today, thanks for stopping by to peek!